May through September every 2nd Saturday. Also everyday upon request. Discover the Eastside of Berlin a former GDR working class district, that is now bursting with life, artsy energy and young alternative street vibes. Find out what ‘Kiez’ culture is and soak up the local vibe, we’ll take you on an eco friendly journey through this neighbourhood where you’ll get to see colorful eco-fair fashion stores, meet zero waste heroes, visit vegan food havens & meet cool organic producers, natural skincare makers. Experience Berlin’s amazing green side! You’ll get lots of inspiration and actionable ideas for creating a better future! You’ll support the changemakers of ‘green scene’ in Berlin. You’ll get so much from exploring a different side of Berlin away from the mainstream and understand life as a local. 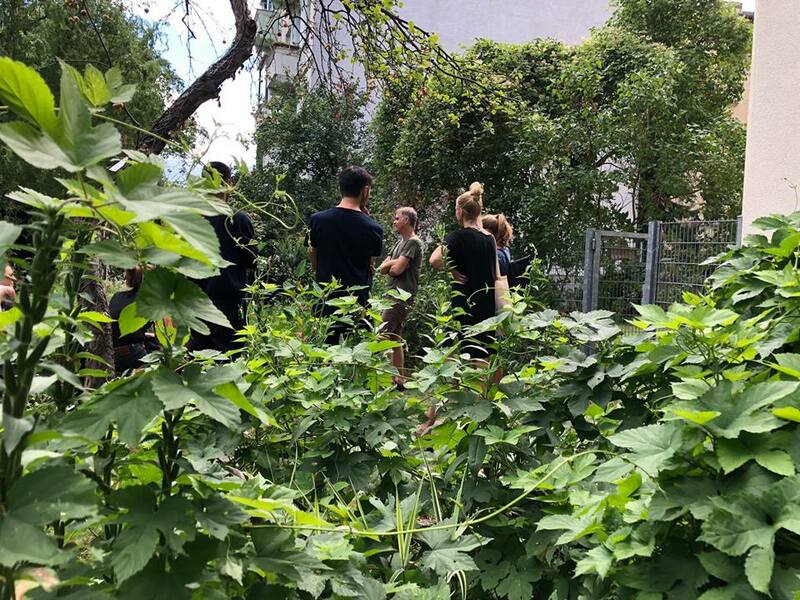 • This experience includes a guided tour of the Eastside of Berlin, a visit to 5-6 different sustainable projects, a personal intro to the makers of Berlin's cool green movement, wholesome snacks, food tastings and a delicious drink at the end! On this experience you’ll get to visit the creative heroes of Berlin's green scene. Your guide will take you on a journey through their lively home ‘Kiez’ to soak in the vibe of this friendly, artsy and fast-changing neighborhood. Exploring the Green side of Berlin means you’ll get to know the city through sustainable projects, connect with like-minded people, meet some of our favorite changemakers in Neukölln and get behind the scenes of their amazing work. We’ll knock on the doors of their kitchens, stores, workshops, and ateliers, hear about their stories, try some of their delicious creations & learn what drives them most. You’ll visit zero waste cafés, sustainable food projects, green fashion boutiques and meet ethical designers. We’ll take you to the community-minded bike savers, visit leftover cooks & vegan longboarders, urban gardens and transformed park decks! We’ll finish off with a delicious drink at one of the areas coolest reused urban spaces!